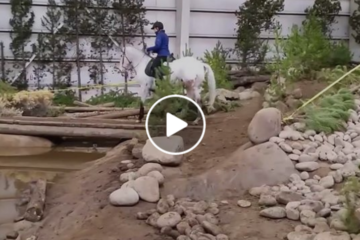 Warrior Horses For Warrior Kids Who Have Cancer – AMAZING Program! I have to admit, I first read about Warrior Horses a few weeks ago. It has taken me this long to write an article because every time I think about this subject it brings tears to my eyes. Tears for the children and their families, but best of all tears for the joy these horses are bringing the children. We can’t thank all of you enough for the continued support and countless donations that have come in! We have over 55 horses fully funded and ready to be matched with the Warrior Kids! Thanks again for everyone working hard on their fundraising pages! You guys rock! This is double your dollar week!!! We have several donors willing to match funds so now is the time to donate if you haven’t already! Also Ryan needs just 25 more horses fully funded by Friday and he will have reached Champion Of Hope status for LLS! This means he will be among the top 10% of all national candidates in raising the most funds! This means MORE pediatric cancer research portfolios being funded!!! 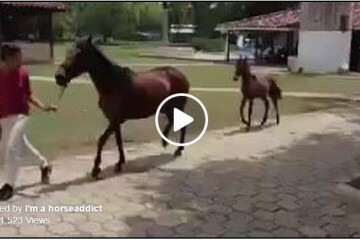 So PLEASE share the video and spread the word to all who would love to share the joy of their horse with a child fighting cancer! All for the benefit of finding a cure and giving Warrior Kids a way to share in the spirit of a Warrior Horse! I am so proud of my son starting this program and I can tell this is just getting started. To think that he is currently undergoing active treatment for his own Leukemia and yet still wanting to fight for a cure for his fellow Warrior Friends! 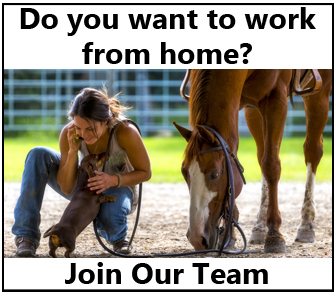 Along with bringing them the joy and connection you get from a Warrior Horse. Thank you all again for all your love, support and prayers! We have been in this battle since September 6, 2015 and we are NOT letting up! Too many children are diagnosed with cancer every day… this is the time to make a difference! *Special thanks to Priority Doors in Escondido, CA for sponsoring the Warrior Kid Charley in her match to her Warrior Horse!!! Please SHARE this on Facebook and raise awareness for this amazing program! 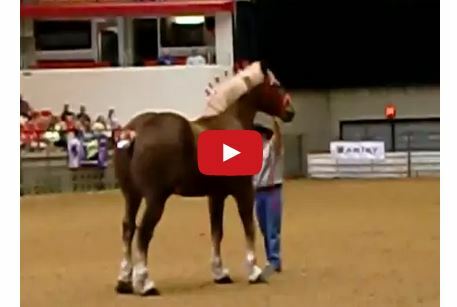 Watch The World’s Biggest Horse In Action! 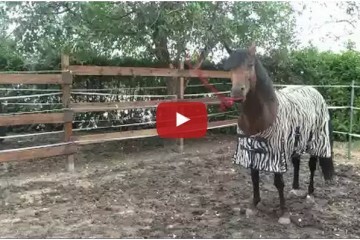 Forget Expensive Horse Toys…All This Horse Needs Is A Rope!